Please read the entire post and share if you could! “Jack Nicholson” – Spray Paint on Canvas by Me. EVERYTHING IN MY SHOP .. 50% OFF w/ Code ART50 at checkout to aid w/ my Brain Tumor Fight! Medical Update & NEW Artwork!!! Appt. did not go so well. Tumor at this point is inoperable due to size, location, and risk. Surgery would leave me on medications still and w/ sever motor deficits on my dominant side. Best for now is to stay on these debilitating medications, and wait for referral for 2nd opinion elsewhere which is what we are doing. Will Keep you posted. Originals sold but prints are ready for you 🙂 Click the image you like or check out my entire shop. EVERYTHING in my Shop is 50% OFF with coupon code ART50 to help us w/ our fight. Many of you have been following my struggle with this brain tumor. I wanted to post something positive…. so here is a painting I created after battling with partial paralysis on my right side (my dominant side) very recently. I worked on getting back into painting quickly as it really is one of the only things that makes me feel human anymore with all of the meds and seizures related to this baseball sized intruded in my brain. Please read my timeline if interested 🙂 I am very positive and inspired daily by the love and support coming in from around the world. This piece was from a picture sent to me by a client in Wales. Here is the image of it. Clicking it will lead to the video of the creation (painting, not the stenciling which took 40+ hours) which is pretty dang cool. Enjoy! 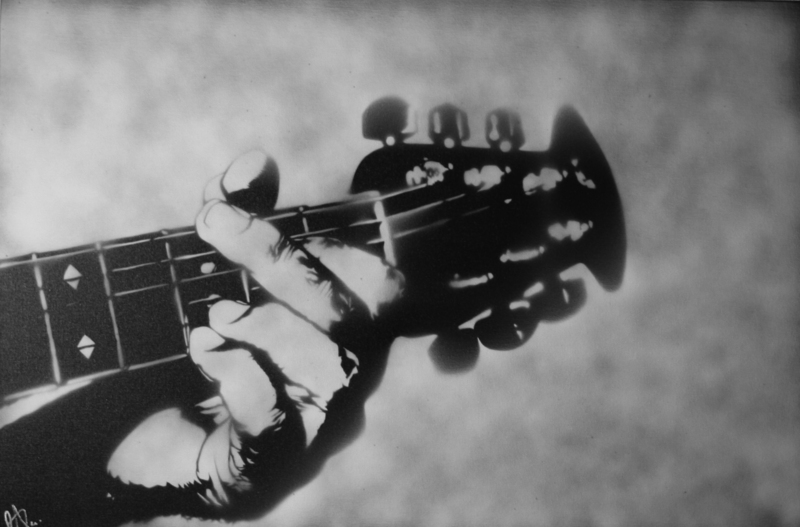 “Bob Marley” – Spray Paint on Canvas by Me. I was given permission by my client (thank you) to make prints to assist with my brain tumor situation as many of you know. and as usual, 50% off ANY artwork with coupon code ART50 in my shop. Please reblog, share, tweet, FB, you name it! 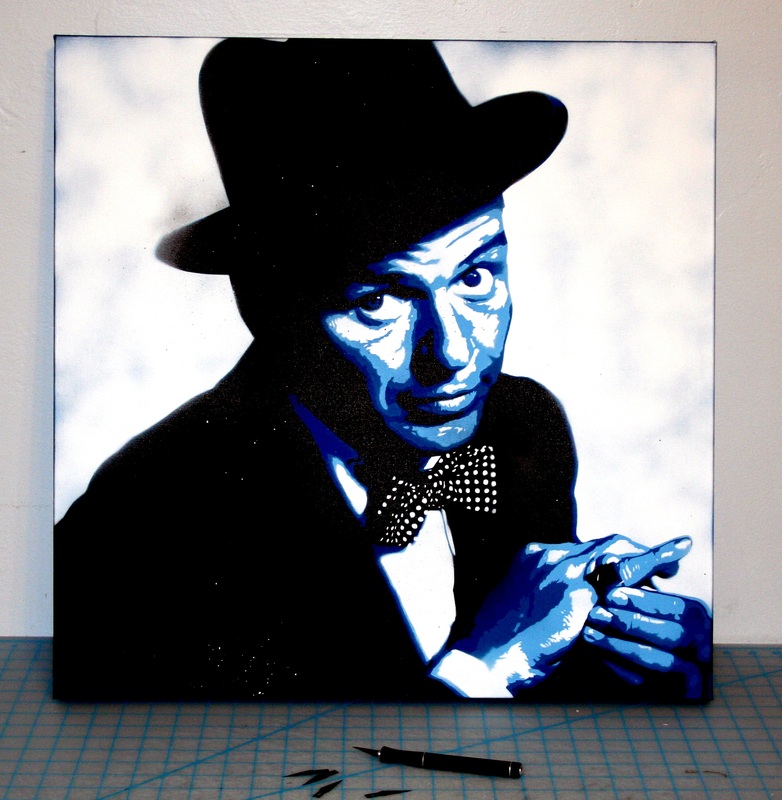 Over the years it has been my freehand spray paint artwork that many of you are accustomed to seeing. There will be more but for now, there is this. My wife and I are working hard on keeping you up to date. We are blown away by the more than 60K followers who show there support to us daily on the blog and other social media platforms! 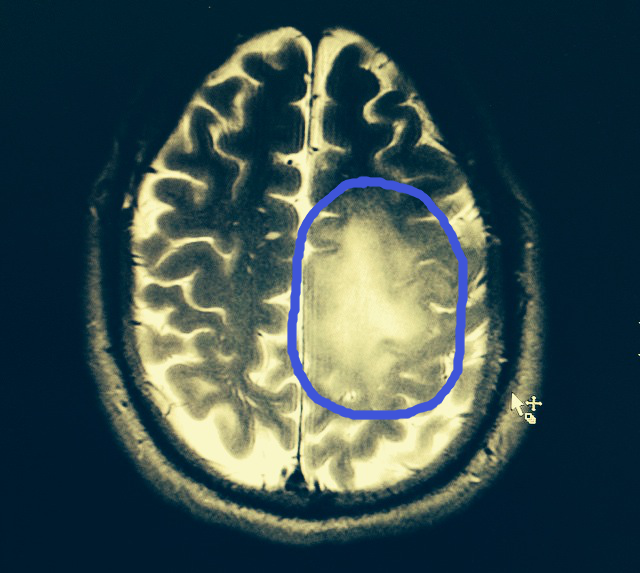 So, here is a scan of my brain and the Tumor is circled. Its bigger than first thought. On the 9th I have one more MRI w/ spectroscopy to determine the rate of growth and cell types. Then it gets really hairy. I am doing the best I can to be in good spirits and will continue to strive! It really helps knowing I have touched so many people with my artwork and commitment to all of you as friends and fans, now FAMILY! As always, my wife and I will keep you updated on things as they move forward…. because they will move forward! A huge assortment of my art prints and original artwork will be 50% off in my Etsy store throughout this to assist us with raising the necessary funds to overcome any obstacle while I am undergoing treatment, surgeries, chemo and radiation. Please also go to http://www.gofundme.com/rayferrer and share or contribute if at all possible. Anything counts and there are some great rewards.